Layout style – select the general width for the entire site. Body background settings (:Boxed) – option available only if the Layout style: Boxed is selected. Configure the body background settings. 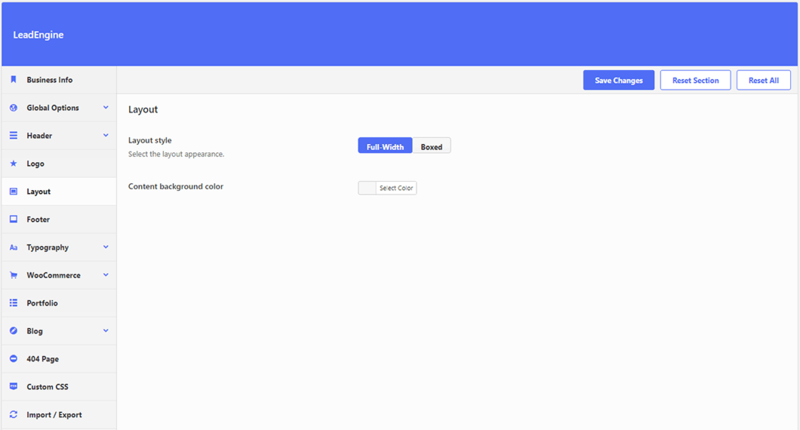 Content background color – select the content background color.